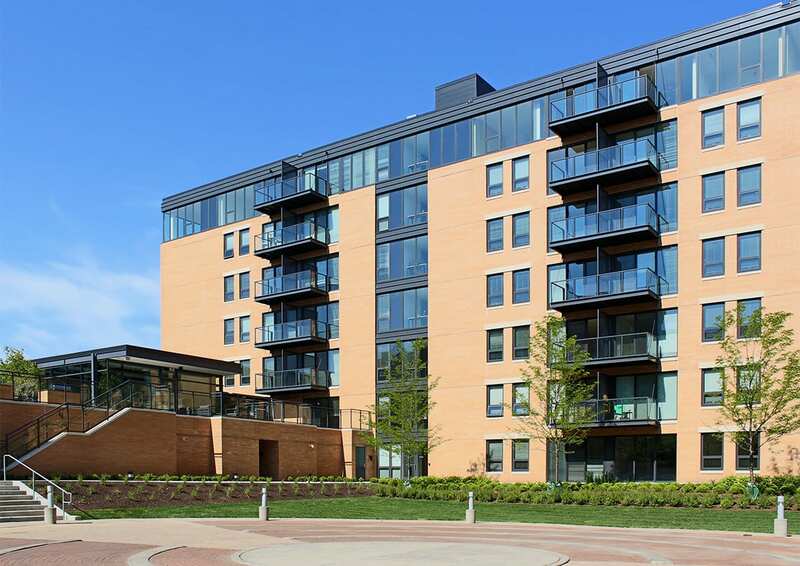 1717 Ridge is located at the threshold between Evanston’s commercial core and the charming residential streets surrounding the downtown, making it a desirable location for multifamily residences. 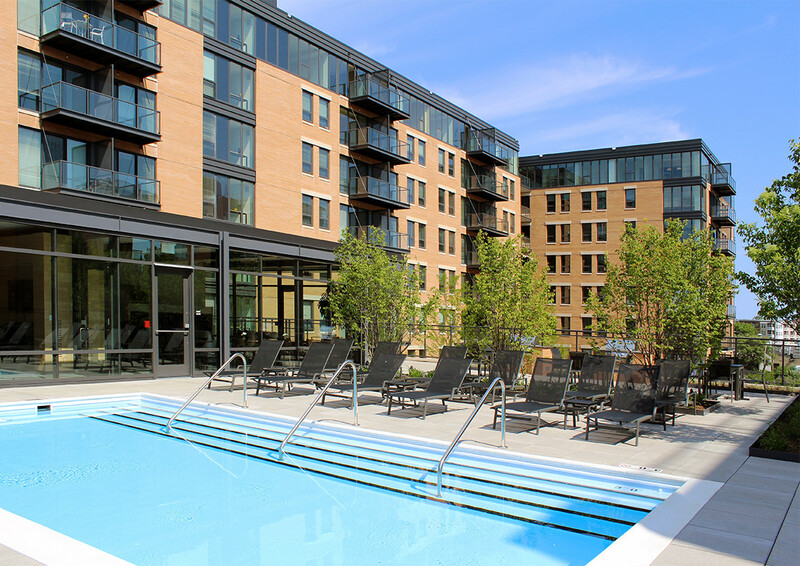 Focus Development and Booth Hansen took on the challenge of completing a partially constructed condominium master plan by creating an 8-story, 175-unit rental apartment. 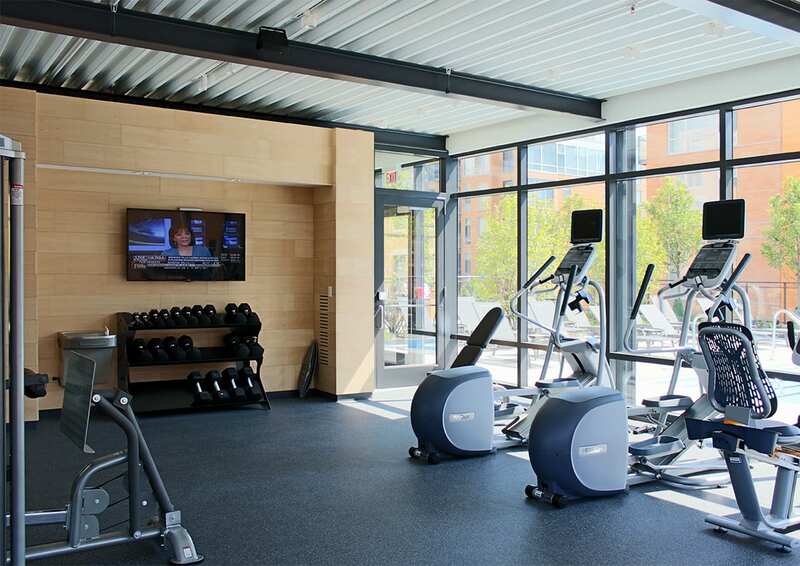 The units are designed to meet the needs of young professionals and graduate students in the area. 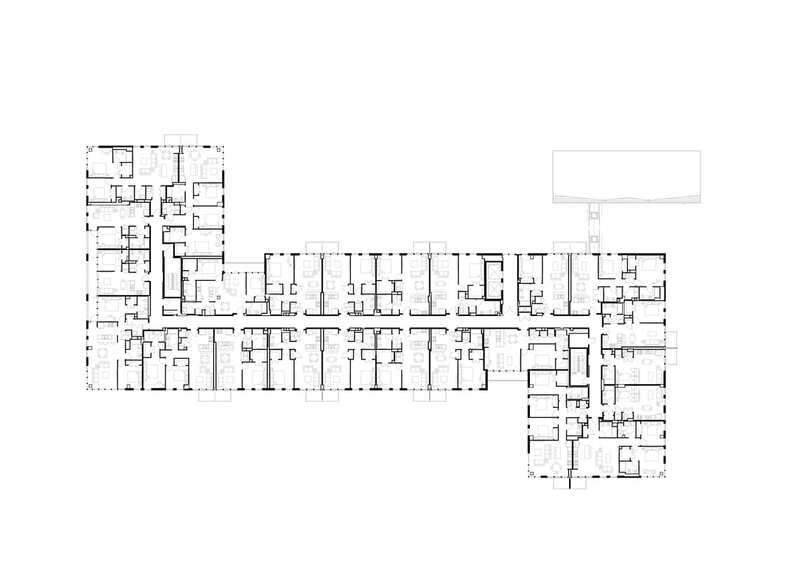 The building plan and massing relate to the site’s shape, topography and relationship with the previously completed buildings. 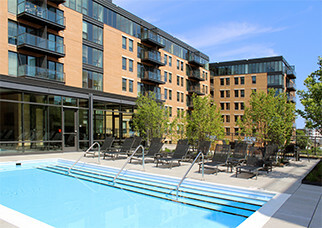 Parking is located below grade, which allows residents to connect directly with the landscape and common plaza. 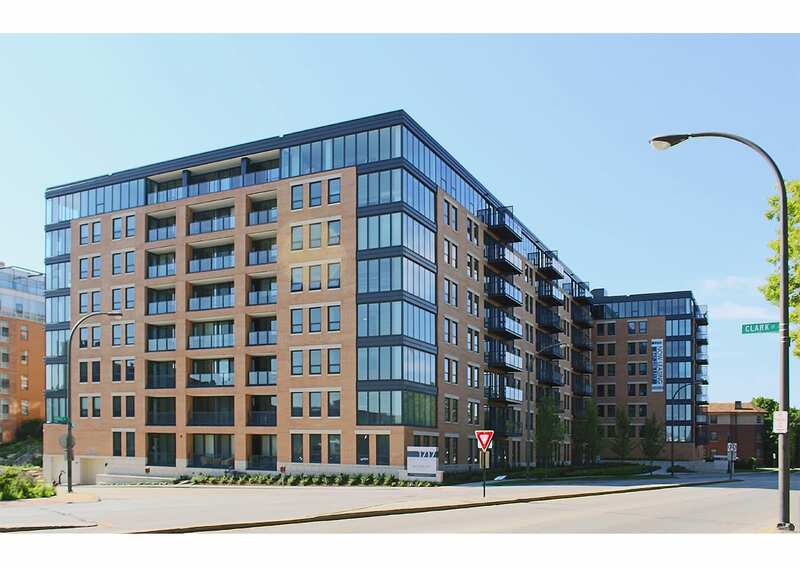 The predominantly brick and glass facade harmonizes with the condominium buildings, forming a cohesive development. 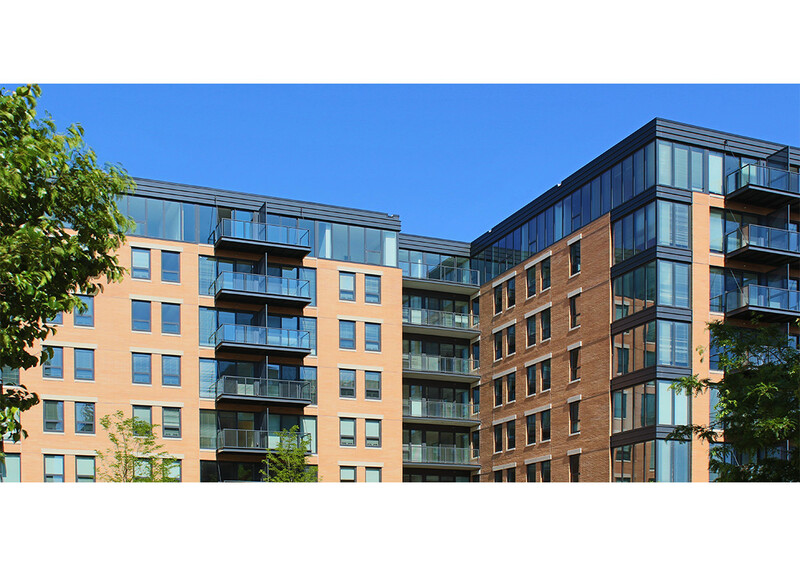 Glass corners and balconies allow for sweeping views from the units. 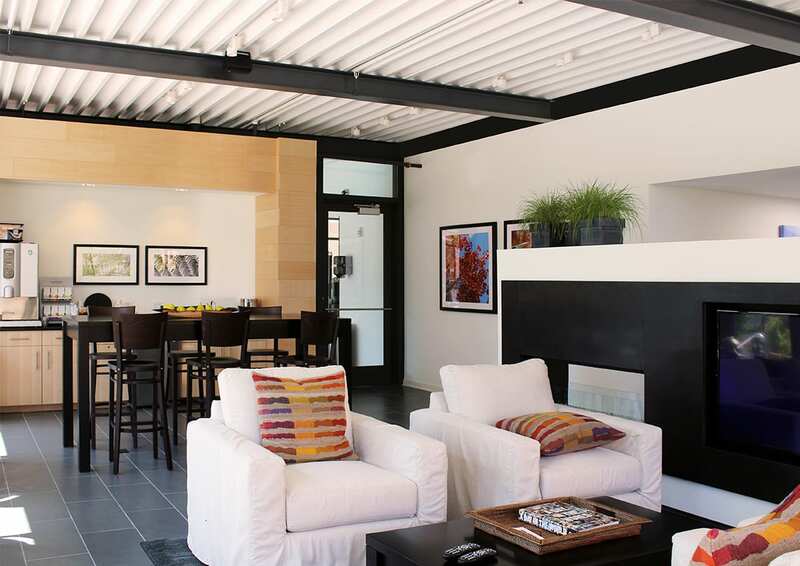 A unique “girder-slab” structural frame provided an economical way to create additional ceiling height within the units and still meet overall building height limitations. An attached steel and glass pavilion housing a common lounge and fitness opens to an exterior pool deck with fire pits and seating. 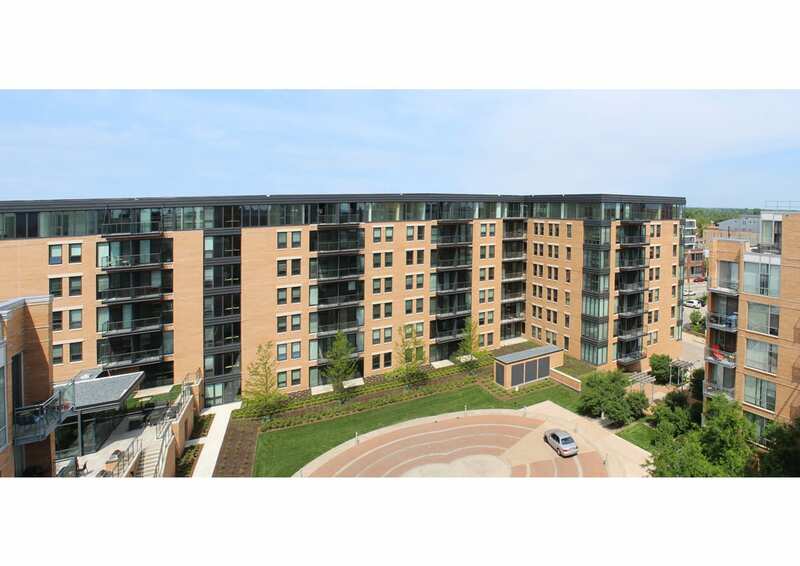 Delivered through a fast-tracked design and construction process, the project has earned a LEED Silver rating.